The tragedy comes as the nation continues to mourn the victims of last month’s ferry disaster which claimed over 300 lives. 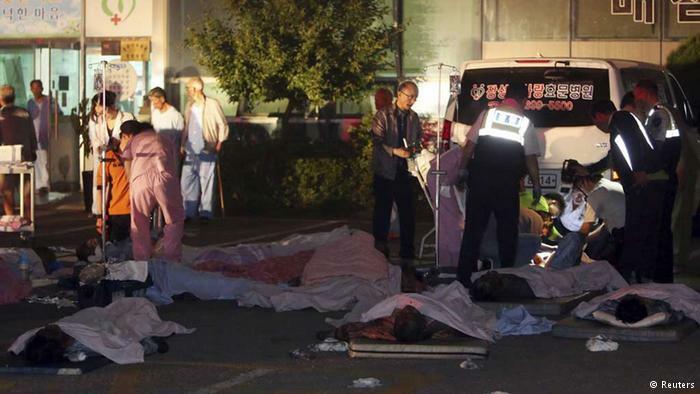 A fire earlier this week at a bus terminal near Seoul killed eight people and injured 57. And here is yet another- A fire at a hospital annex housing elderly patients in the southwestern county of Jangseong killed 21 people. The fire comes as South Korea debates long-ignored safety lapses and a history of corner-cutting in a country that rapidly rose from poverty and the destruction of the 1950-53 Korean War to become Asia’s fourth biggest economy. Twenty patients and a nurse died at the hospital, which specializes in elderly patients who suffer from dementia and palsy, and seven others were injured, officials with the Jangseong Fire Department said, speaking on condition of anonymity because of office rules. Most of the patients who perished in the fire were in their seventies and eighties, Yonhap news agency reported. Jangseong county is south of Seoul. The blaze was extinguished relatively quickly, but the physical condition of the elderly residents of the hospital led to the large number of casualties, fire officials said, according to Reuters. About 30 bedridden patients were trapped by “choking fumes” on the second floor of a hospital annex building, Yonhap reported. Ten patients on the first floor did manage to escape. The only nurse on duty at the time was among the dead. The victims died after suffocating on poisonous gas, officials said. There were 35 patients and a nurse on duty on the second floor of an annex of Hyosarang Hospital when the fire broke out, officials said. The fire was put out after about six minutes, the officials said. The cause was not immediately known. Officials said that 45 people, including a nurse, were on the hospital’s first floor but they all escaped. Some of the dead had their hands bound to their beds, and the second-floor windows were barred, Yonhap news agency reported, without citing any sources for the information. Emergency officials couldn’t immediately confirm the report. Two hospital officials, speaking on condition of anonymity because they weren’t authorized to talk to the media, said that patients are not bound to beds. But they said they were checking into the details of what happened. Authorities said most patients at the hospital were in their 70s and 80s, in a fragile state and had difficulty walking. The semi-official state news agency Yonhap, citing police and fire officials, said toxic fumes that filled the building were believed to have caused the victims to asphyxiate. South Korea has also had two subway accidents in recent weeks. The fire started just after midnight, authorities said. Seven people were evacuated from the second floor of the building, which was separate from the main hospital. It was South Korea’s second deadly blaze in two days. 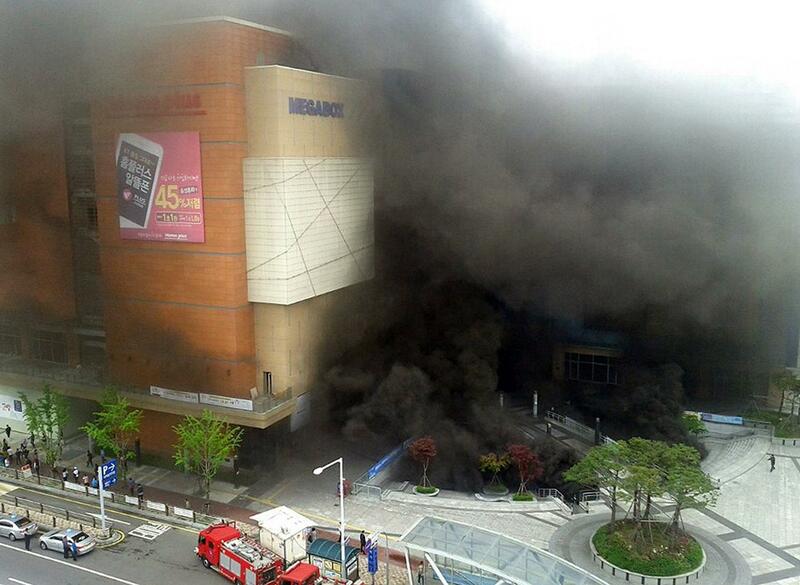 Seven people were killed and 41 injured in a fire at a bus terminal near Seoul on Monday.